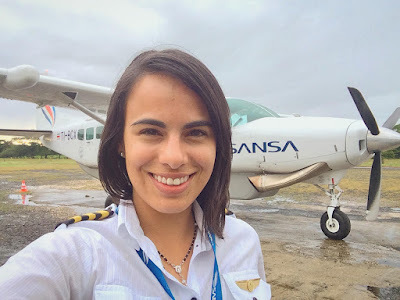 Meet our Featured Caravan pilot Marjorie with Sansa Airlines. Founded in 1978 and based in San Jose Costa Rica, Sansa flies to 14 destinations with 8 Caravans, including the EX model. Marjorie is an inspirational pilot! Below you will find her answers to some questions that we asked her. We know that she will inspire some current and future pilots! For me it is one of the most fascinating airplanes. The Caravan lets you fly at high speeds when you need to do a high speed approach for example and in just a few seconds slow to landing speed on short final. It is a really maneuverable and versatile airplane to fly. Also, flying glass cockpit with the Garmin 1000 is a plus that does this airplane outstanding! 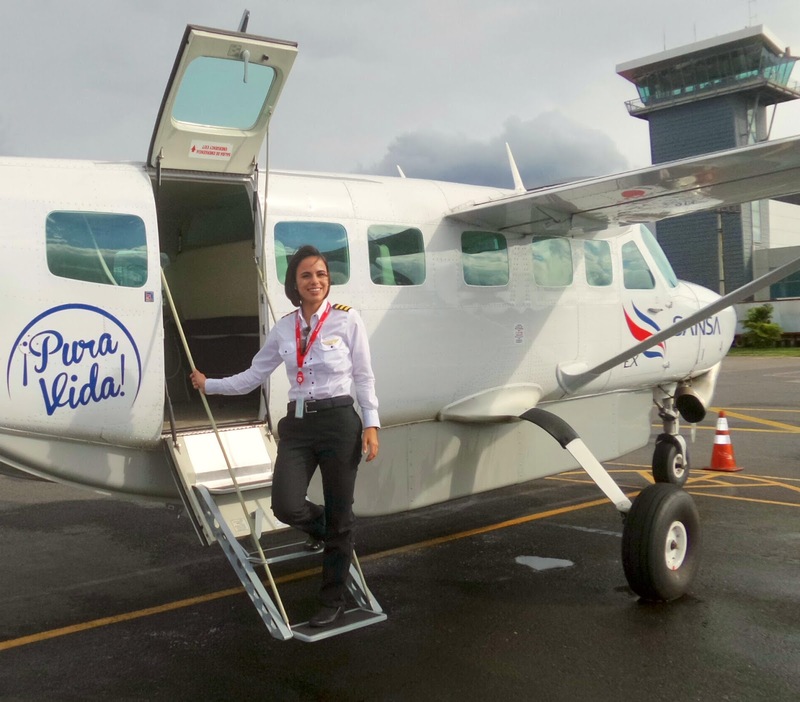 In Costa Rica, we fly the Caravan from the main airports through short runways, ballast airfields, and a lot of destinations all over the country. We carry 12 passengers on each flight sharing in the cockpit between a Captain and First Officer. The first one is done, flying a Cessna Caravan was my dream before I got my Pilot license. My next goals.. Well, new opportunities to fly Airbus A320 and Boeing 737 are coming, but before I take that step in my career I would love to fly this airplane as a Captain. Never forget your dreams! If you see yourself as a pilot you can do it. I know it is an expensive career but it's not impossible to achieve it. I started as an Airport Agent at the counter checking-in the passengers on the flights. After that I became a Flight Attendant and did that for almost 5 years. Then I started my flying lessons, and after a couple of years I became the first Pilot in my family. Now I feel like the happiest person doing what I do and seeing the most amazing sunrises, sunsets and landscapes while I work. So your hard work will be worth it! Here in the Northern Hemisphere ground temperatures have dropped below freezing over much of the population. So we thought that now would be a good time for us Caravan Pilots to review Emergency Procedures in the icing environment. Please remember that these Emergency Procedures found below are for the Cessna Model 208B (675 SHP) and no others. If you are flying a different model Caravan, please review your aircraft's FAA approved Abbreviated Checklist or Airplane Flight Manual for that specific model. 1. Immediately request priority handling from Air Traffic Control to facilitate a route or an altitude change to exit the severe icing conditions in order to avoid extended exposure to flight conditions more severe than those for which the airplane has been certificated. 2. Avoid abrupt and excessive maneuvering that may exacerbate control difficulties. 3. Do not engage the autopilot. 4. If the autopilot is engaged, hold the control wheel firmly and disengage the autopilot. 5. If an unusual roll response or uncommanded roll control movement is observed, reduce the angle of attack. 6. If the flaps are extended, do not retract them until the airframe is clear of ice. 7. Report these weather conditions to Air Traffic Control. Gallery - Flying Over Namibia in a Caravan! Don't forget that CaravanNation.com has a free Caravan Newsletter sign up on the site! Get all of the latest Caravan News and Information delivered conveniently to your email inbox monthly! 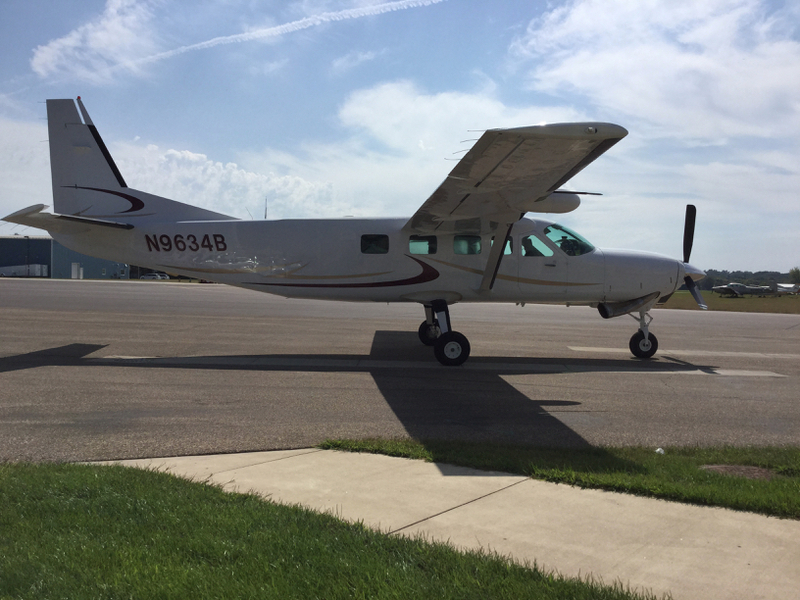 As reported by Textron Aviation Inc., Cessna Aircraft Company has announced that it has recently received certification for and is now offering hard point provisions for the Cessna Grand Caravan EX. These hard points expand the aircraft’s versatility by allowing operators additional mission capabilities such as extended range with additional fuel tanks, increased cargo space, agricultural operations and the ability to configure the aircraft for missions that require armament. The company displayed a mock-up of a Grand Caravan EX wing with hard points at the Farnborough International Airshow the week of July 11. A question that I receive fairly often is concerning the Fuel Condition Lever in the Caravan. They mainly want to know when or if they should ever use "High Idle". Let's start with the basics first. The Fuel Condition Lever is connected to the Fuel Control Unit (FCU). The Fuel Condition Lever has 3 positions: Idle Cutoff, Low Idle and High Idle positions. The Cutoff position cuts off all fuel to the engine fuel nozzles. The Low Idle position provides an RPM of 52% Ng. The High Idle position provides an RPM of 65% Ng. Low Idle is also known as Ground Idle and High Idle is also known as Flight Idle. When I was trained in the Caravan I was told something that I don't agree with, and that was to never put the Fuel Condition Lever into High Idle and that, "it is not necessary to use". Even though, the Before Takeoff and Before Landing checklists state to put the Fuel Condition Lever into High Idle. A lot of Caravan owners will tell pilots, that do not have much time logged in Caravans, to leave it in Low Idle. Because of their fear of an ITT over temperature occurring if the pilot were to accidentally move the lever from High Idle to Cutoff (after landing) and then back to Low Idle. 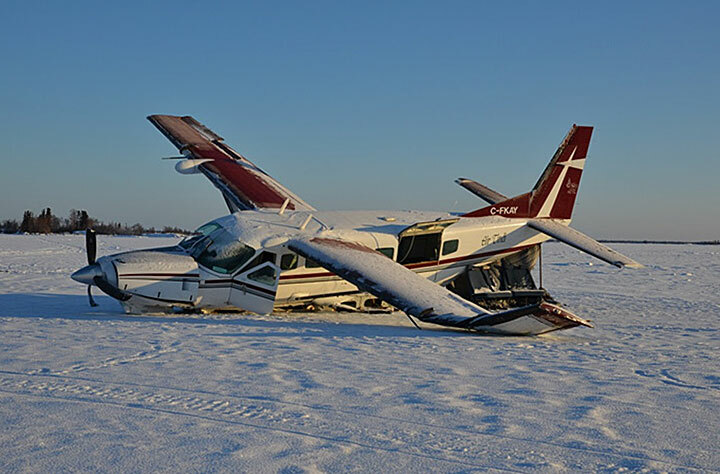 Another reason that owners do not want low time Caravan pilots using High Idle is because if they forget to put it back to Low Idle after landing, they will be taxiing very fast and they might plow into something or somebody. Keep in mind that these are reasons that I've heard that owners tell new Caravan pilots not to use High Idle, that does not mean that I necessarily agree with them. Once you are comfortable flying the Caravan you should feel free to use High Idle. It allows for a faster throttle response, which you would want in a go around situation. As stated in the Cessna 208B Caravan Information Manual, "The higher gas generator idle speed for flight provides faster engine acceleration when adding power (from an idle condition) on approach or for a balked landing go-around." Below you will find a story of a pilot getting his Initial Turbine Rating Conversion in a Caravan at Sheltam Aviation in Port Elizabeth South Africa. They also operate out of Virginia Airport in Durban. For more information about the program at Sheltam Aviation click here. So there I was, sandwiched on a Greyhound to Port Elizabeth, uncomfortably mashed in the non-flying bus, a dream come true, I was on my way to light my first turbine, my first PT-6. More specifically a PT6A-114A, producing 675shp. Any guess's what that may be? Oh yes.... Caravan.... Cessna's Swiss Army Knife with wing's, and man oh man, was I excited!!! I don't know why, but I always had an infatuation with turbine's from day one. I couldn't explain it, every time a Pilatus PC-12 started up or spooled down on the apron, where I learned to fly, I would stand there and drool offensively onto the tarmac. I loved the wine and seemingly endless acceleration they had on takeoff, so much more refined and smooth then their piston cousin's. 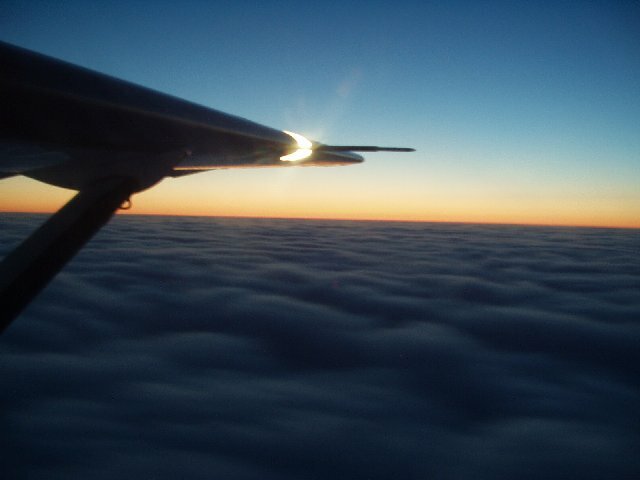 It's funny, a lot of the time when you fly an airplane that you have dreamt of for a while, it let's you down. It's not as cool as you expected it to be, but this time it exceeded my expectations. What a plane! After the passengers are loaded for the heavy load section of the conversion, a mixture of instructors and student's captured among Port Elizabeth's apron. Rear door closed and latched and load bar removed from under the tail, a final walk around checking hatches and doors closed and prop area clear. A climb up the mini air-stair into the cockpit find's me in a hugely spacious cockpit. Comfy seats and 5 point harness', controls and instruments where they should be. Familiar and well positioned, fuel tank selectors both to ON, bleed air switch off, beacon light to position ON, fuel and firewall emergency in the normal position, trim neutral position and elevator trim for takeoff. Control lock's removed, fuel condition lever in idle cutoff position, propeller pitch lever fully fine, power lever idle position, inertial bypass separator normal position. Call for start-up, cleared for start-up from ground control, gauge and instrument check as well as ensuring beacon light is on. All engine control switches in the correct position for a battery start, ensuring ignition switch in the normal position, electronic master switch goes on, electronic gyro's start to spin and a quick check on the voltmeter ensuring that we have 24.5 volts minimum for a battery start confirmed. We are clear left and right, a loud clear prop to anyone around the aircraft, fuel pump to ON, start switch goes on and immediately the loud electric-like whine and woosh of the compressor of the PT6 comes to life. A quick check of oil and fuel pressure ensuring ops are normal as you do not want fuel going into the combustion chamber prior to light up. The fuel flow gauge confirm's ZERO, the loud metallic TICK-TICK-TICK of the igniters awaiting the arrival of fuel into the combustion chamber. Back quickly to the Ng gauge or compressor speed gauge, expressed as a %, minimum to introduce fuel into the combustion chamber is 12%. The Ng rises swiftly past 12% and because the higher the compressor RPM, the more smooth the start will be, I let it rise up to 18%. It stabilizes and I smoothly introduce fuel by moving the fuel condition lever from idle cut-off to low idle. A fuel flow indication of around 100pph indicates correctly, the dull woomff of fuel igniting and the immediate smell of burnt jet fuel indicates first stage light-up. All of your attention turns now to the ITT gauge. The engine spooling up quickly now and a secondary dull woomf and woosh signals second stage light-up and the ITT soars rapidly towards the maximum limits. With one hand on the fuel lever and one hand on the start switch ready for a possible hot-start, you hope and pray that the volatile cocktail of jet-fuel and air stabilizes before it reaches maximum temperature limits, which is 1090C. For 2 seconds on start-up, all of a sudden, the swiftly rising ITT needle stops its ascent and decreases back to a stable 650C. All engine perimeters checked, all stable and you are ready to rock. Start-switch to off, standby power to armed position, ensure generator is charging the battery, fuel switch to norm and avionics master 1 and 2 both on and you are ready to taxi-out. Get the air conditioning on for your passengers and test the electronic master warning system prior to taxi. All this happening in less than a minute. I cant tell you the smile on my face after that little sequence. Call me easily pleased! Once started, a turbine is very simple to operate and the caravan is one of the nicest flying aircraft around. A pleasure in all conditions, with its beautifully harmonized controls. It really is a pilots dream machine, incredibly capable. With reverse thrust, huge flaps, de-icing, weather radar and a full auto-pilot it is capable of operating anywhere in almost any weather. I loved my conversion and I can not wait for the opportunity to fly the aircraft operationally in the very near future!